Professional platform. Global markets. Broker neutral. 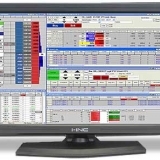 Simultaneously trade multiple markets from one fully customizable screen with superior speed, stability and accuracy. Single-click order execution and the patented MD Trader® ladder coupled with tools for automated trading, charting and more give traders the edge for optimal trading performance. Speed matters. But so does reliability. X_TRADER delivers both. 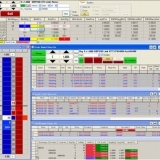 From point-and-click to automation, X_TRADER has the best tools to view, analyze and execute. One X_TRADER screen can put thousands of contracts across multiple asset classes from dozens of markets at your fingertips. X_TRADER incorporates all of these sophisticated technologies to execute complex trading strategies with speed and precision.